Kelli Britten is an assistant professor of practice at the College of Journalism and Mass Communications teaching advertising campaign strategy. Most recently, Britten was the head of marketing in the Americas for a global manufacturing company largely focused on branding, event planning and copywriting. Concurrently she was an adjunct instructor at University of Nebraska–Lincoln and Nebraska Wesleyan University. Britten also spent several years in non-profit programming and marketing as well as working at smaller agencies in Lincoln. Britten is an active community volunteer for TEDxLincoln, Junior Achievement, United Way and the Food Bank BackPack Program. 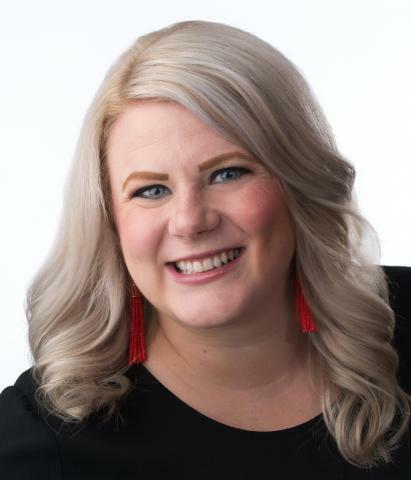 She earned her undergraduate degree in business administration from Peru State College in Peru, Nebraska, and graduated from University of Nebraska–Lincoln in 2013 with a master’s in journalism and mass communications. Britten is pursuing a Ph.D. in human sciences with a specialization in leadership studies at University of Nebraska–Lincoln. In her spare time, she loves DIY projects, crafting and travel. She and her husband are slowly chipping away on the list to tour every U.S. state capitol building, only 30 to go.